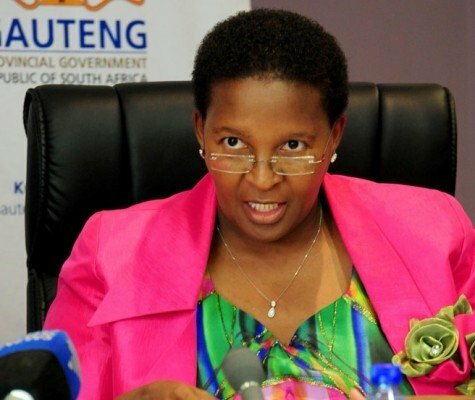 There are themes in Gauteng MEC Faith Mazibuko's noxious abuse of power that make her a dangerous political head and unsuitable for the civil service, writes Redi Tlhabi. The MEC's racist and sexist bullying of officials in her department cannot be swept away with "I am sorry, I was emotional". It also wasn't a minor lapse in judgement. In that rant, the Gauteng MEC for sport and recreation told us who she was, what she stands for and what her priorities are. And her priority is not the public she claims to serve. Her push for the much talked about "combi courts" had nothing to do with the communities, but everything to do with party politics and her self-obsessed goal to "not make me a fool". There are many reasons why the leadership of the ANC should take this far more seriously than it has thus far. Yes, she was hauled before her party, told to apologise, reprimanded by Premier David Makhura, and to its credit, the leadership of the ANC was visible and accessible to answer questions. There are three fundamental aspects that make Faith Mazibuko's outburst serious and indicative of our body politic as a whole. There are themes in her noxious abuse of power that make her a dangerous political head and unsuitable for the civil service. First, it is her grasp of the country's laws. The distance between her utterances and the provisions of our Constitution is as wide as the ocean. Our employment equity legislation identifies gender equality as a critical value. All women of all races – black, white or Indian, etc. – should be beneficiaries of these laws. The presence of a white woman and an Indian woman in top decision-making structures in her department is therefore not a departure from the legislative requirements and norms. But, in her abusive rant, she played God, declaring that nobody wants to appoint white and Indian women because they "bring too much English" – never mind that it is one of our official languages and her government uses it far more in official communication than any other. The narcissism of the MEC when she declared that the Indian and white women must thank their lucky stars because she appointed them, was jaw-dropping. How could the ANC government embrace a high ranking official who does not know that appointing women of any and all races is indeed an implementation of affirmative action? Instead, she threw that in their faces as an act of some divine favour and generosity. What the ANC government, provincial and national, does not realise is that in her ineptitude, Mazibuko further indicted her party and government by declaring that "nobody appoints Indian and Mlungu, I am the only one". Is this true, ANC? On paper you say all women must be beneficiaries of employment equity; you preach diversity. Yet in practice, you violate gender equality and minority rights laws? The unconcealed racism and violation of minority rights in the MEC's outburst were palpable. There must be action. Secondly, the Gauteng government must fire Mazibuko because of the dangerous sexist and misogynistic views she holds about women. That she is a woman herself is irrelevant. Gender theory has a lot to say about patriarchal women who not only oppress other women but are torchbearers for men who do the same. She said: "I empower you. I have taken this gender empowerment thing too far and it is backfiring on me." Gender empowerment "thing"? A "thing"? In this violent and exclusionary world for women, gender equality is now a mere "thing"? Patriarchy and misogyny have for centuries held the belief that women are incompetent and cannot deliver. This explains why gender equality in the corporate world, churches, politics and other formations remains an elusive dream. It is because of these widely held views which then inform behaviour. The MEC believes appointing women derails progress. The third violation of her duty is her demand that officials in her department must deliver the "combi courts" at all costs. When they respectfully point out the legislative and procurement requirements for that to happen, she again dismisses it as "English", and "stories". Clearly contemptuous of rules of governance, she furthers demands they must deliver them even if it means "flying a kite…using magic and witchcraft…I don't care". Now, let us dissect this with the serious lens it deserves. Mazibuko is clearly instructing her staff to do the wrong thing and flout regulations. The defence that she was angry at the lack of delivery is weak. What does it say about her that she was not keeping tabs of progress on departmental targets and only woke up at the 11th hour? It reflects poorly on her. Targets are constantly missed in government and corporate SA, but that does not ever justify rushing through and breaking governance laws just so the money is used and the election promise is fulfilled. She brazenly admits that this is about elections and she does not want to look like a fool in the eyes of her party and voters. It is about her and her party. I hope this is a lesson for officials and technocrats. They are the ones pressured to take political considerations into account, break the rules and then when the brown stuff hits the fan, political office bearers distance themselves, point the finger at the same officials whilst they move on to other departments and structures. If ever there was a case study for why the bureaucrats must stand their ground, this is it. The MEC has given us a live demonstration of how Nkandla, Life Esidimeni, PetroSA and all forms of state capture and irregular spending happened. Mazibuko regards public money as "my money". South Africa is burdened with officials who see the public purse as their possession and it is no surprise that the Auditor General constantly issues reports that confirm this blatant disregard for procurement processes and regard for public money as "my money". Lastly, the abuse of power which she reduced to being "emotional". If the ANC accepts this then it is demonstrating a lack of appreciation for power dynamics and how an abuse of power has a direct impact on delivery and staff morale. Shouting officials down, telling them to "keep quiet, I am talking, you are irritating me" is not being emotional. For good measure, she wagged her finger, telling them "you had better, you are going to work flat out, I don't care…" is venomous language meant to break the spirits of her officials. We are indeed in that era where political office means one must rule with an iron fist and erase the humanity of others. Threatening their job security was the ultimate abuse of power. The MEC apparently has a certificate in Leadership Communication. She obviously was not listening in class. No, Premier David Makhura. No, ANC. A reprimand and apology are not enough. She violated the most sacrosanct values of our Constitution. It could not have been the first time that the MEC has done this. It is the first time she was caught. You have a duty to protect the officials in the department and the voting public from her noxious presence.